At Iowa Radiology, we offer a full array of diagnostic and interventional imaging services, including MRI, CAT scan, ultrasound, fluoroscopy, and general X-ray. Our full service, state-of-the-art outpatient imaging centers provide you and your loved ones the best medical expertise and technology in a convenient, comfortable setting. All radiologists are board certified and all equipment is American College of Radiology (ACR) accredited. Expect easy access, convenient scheduling, and timely service. Our highly skilled technologists and radiologists will put you first. 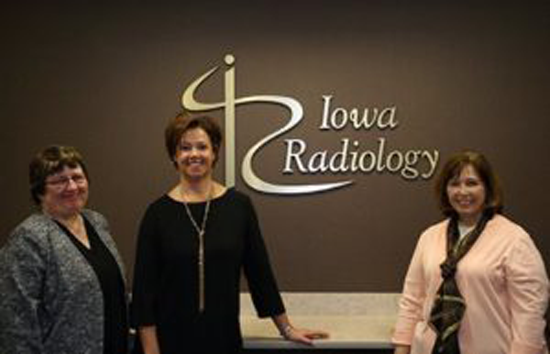 Thank you for choosing Iowa Radiology.